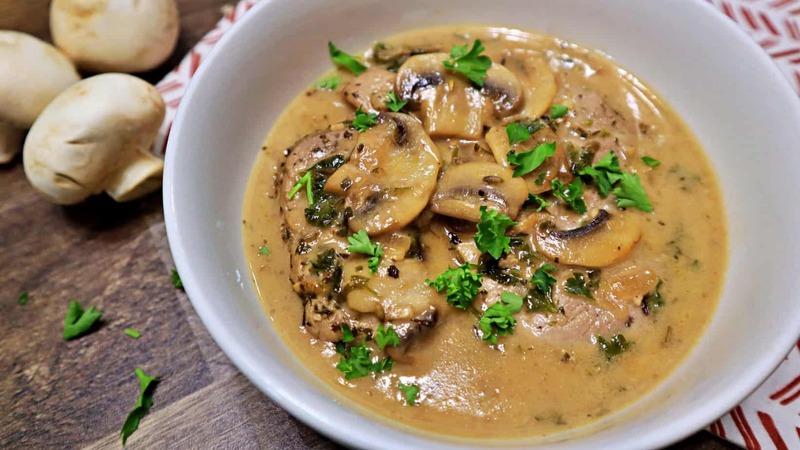 This Keto Pork Marsala Recipe is a dinner that you are going to want to make over and over again. 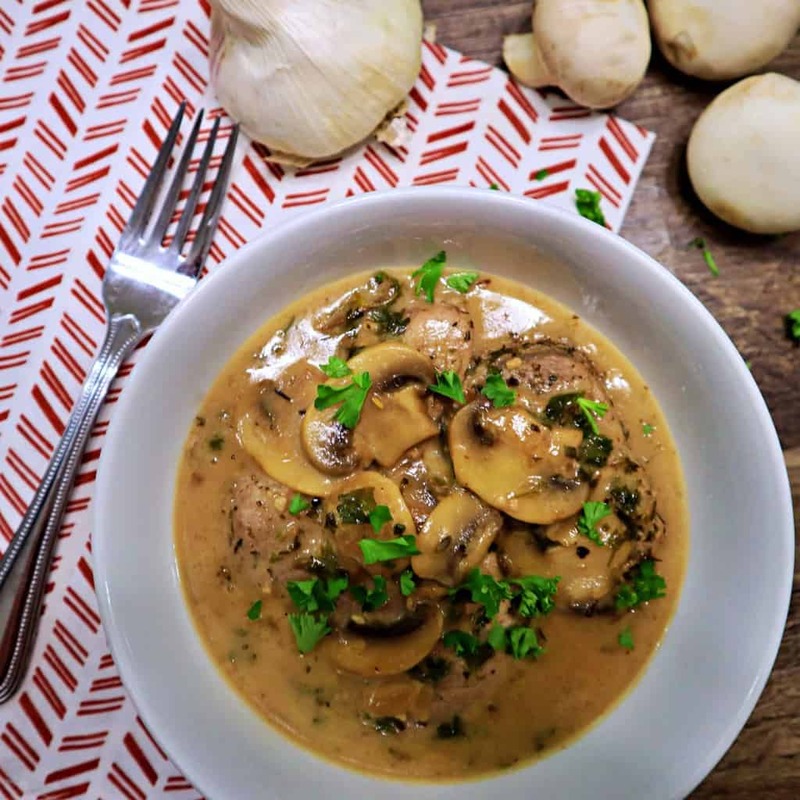 My friends have told me that this is one of their favorite dishes, and they don’t even eat Keto! You can also make this with Chicken if you feel like being more traditional, but I think that it is also good to try this many different ways. 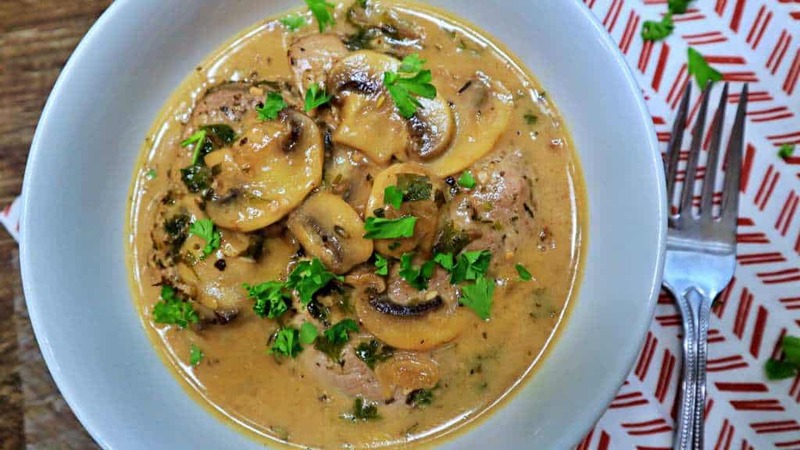 You can even make this with Steak too, and it’s king of like a Stroganoff when you make it that way. Feel free to modify the recipe with some of your favorite ingredients, or whatever keto-friendly items you have around the kitchen. This serves up great with a side of Mashed Garlic Cauliflower “Potatoes” too if you are looking for something a little more serve along side it. In a Small Mixing Bowl combine 1/4 Cup Olive Oil with 2 Tablespoons of Herbs de Provence and 3 Cloves of Minced Garlic. Stir well to combine evenly. Place the Pork Tenderloin in a suitable dish to marinade it with the mixture. Pour the Mixture evenly over the top of the Pork Tenderloin and allow to sit while preparing the other ingredients for your recipe. Wash and Chop 12 Ounces of Fresh White Mushrooms, 1/4 Cup Fresh Parsley, and 1 Medium Shallot. Slice the Pork Tenderloin into 1″ thick Medallions and Season with the desired amount of Black Pepper. In a Large Frying Pan over Medium-High Heat, warm up 2 Tablespoons of Olive Oil, and add 1 Tablespoon of Grass-Fed Butter to it. Place the Pork Tenderloin Medallions into the Large Frying Pan, and Cook 2-3 Minutes per side with the lid on. Remove the Pork Tenderloin from the Frying Pan, and set aside on a plate for later. Add 2 more Tablespoons of Grass-Fed Butter to the Large Frying Pan, and add the Shallot into it, browning for about 1 minute. Then add 2 Cloves of Minced Garlic and stir. Add the White Mushrooms and saute for a few minutes. Sprinkle 1 Teaspoon of Xanthan Gum into the mix to act as a thickener for your sauce, and stir. Pour 1/2 Cup Marsala Wine and 1 Cup Chicken Bone Broth into the Frying Pan and stir. Cover and simmer for a few minutes to thicken. Pour 3 Tablespoons of Heavy Whipping Cream into the Frying Pan and add the Parsley. Add the Pork Tenderloin back into the simmering mixture, and cook for an additional 2 Minutes per side (or until the Pork is fully cooked). I’m looking forward to preparing your recipes. They look great!